Each June our congregation benefits from having an RP Missions team for a week. The team are in Scotland for a month, and spend time with each of the congregations. 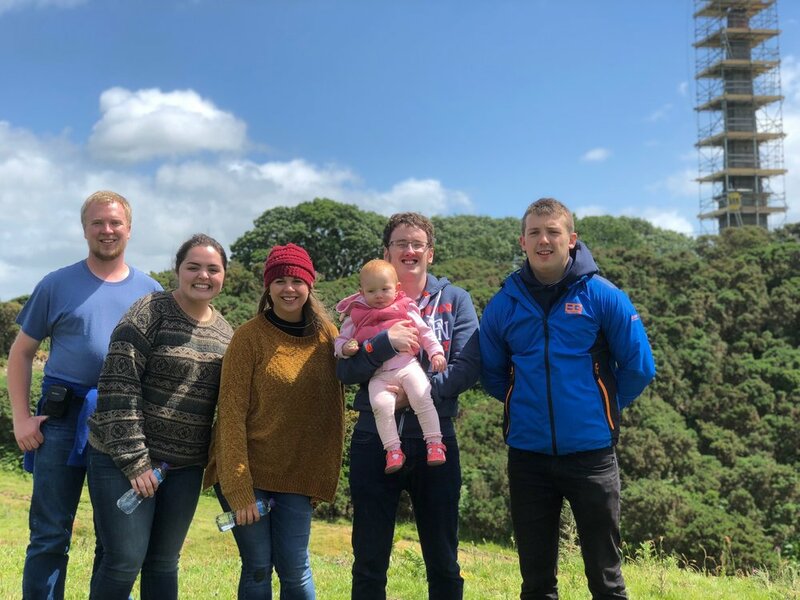 This year, the Mission Team were in Stranraer from 9th-14th June. We had a smaller team from usual, led by Ian (a student for the ministry from Glasgow RPCS) and three Americans: Carlie, Hannah and Matthew. 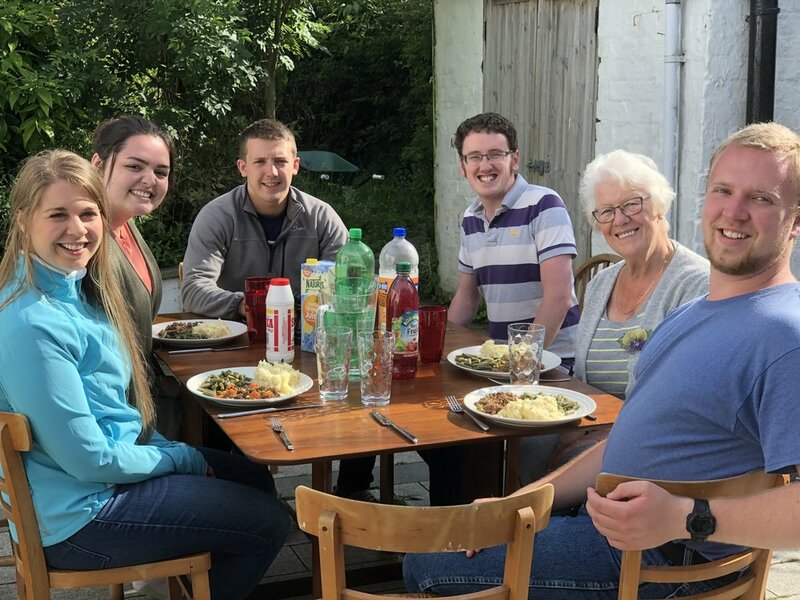 Matthew (RPCNA) served on the two previous Scottish RP Mission Teams, while it was the girls' (both Reformed Baptists) first time in Scotland. They had both found the team online while searching for a missions trip that focused on evangelism and (to paraphrase them slightly) wasn't a glorified vacation. The team arrived on one of the warmest days of the year and immediately began the task of leaflet distribution, assisted by a few others who had come for the day to help out. The leaflets were advertising our 2018 Mission, which had the theme 'Who needs Jesus anyway?'. On the following day, the team joined the congregation for morning worship, followed by a church lunch. After the lunch, a couple of the team members shared a little about God's work in their lives, and then we went across to Dalrymple Court (retirement housing) where we sang some psalms and spent time with the residents. In the evening, the team joined us for evening worship before spending some time at home of one of the families in the congregation. Leaflet distribution continued on the Monday and Tuesday, with dinner each evening at the home of different members of the congregation. On the Tuesday and Wednesday evening the team played games with some of the young people in the congregation (who have little to no contact with other Christian young people). The Mission services took place on the Tuesday, Wednesday and Thursday evenings. We were encouraged to have a number of visitors, including two Mormons who came on the Wednesday and returned the next evening. 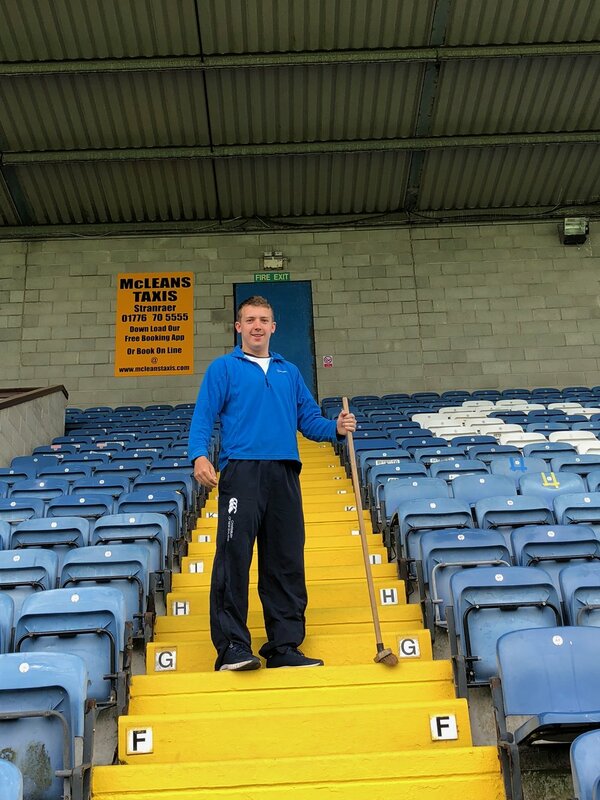 On the Wednesday morning the team went to Stair Park (home of Stranraer FC - to whom Stephen is club chaplain) to do some clean-up work in preparation for the new season. 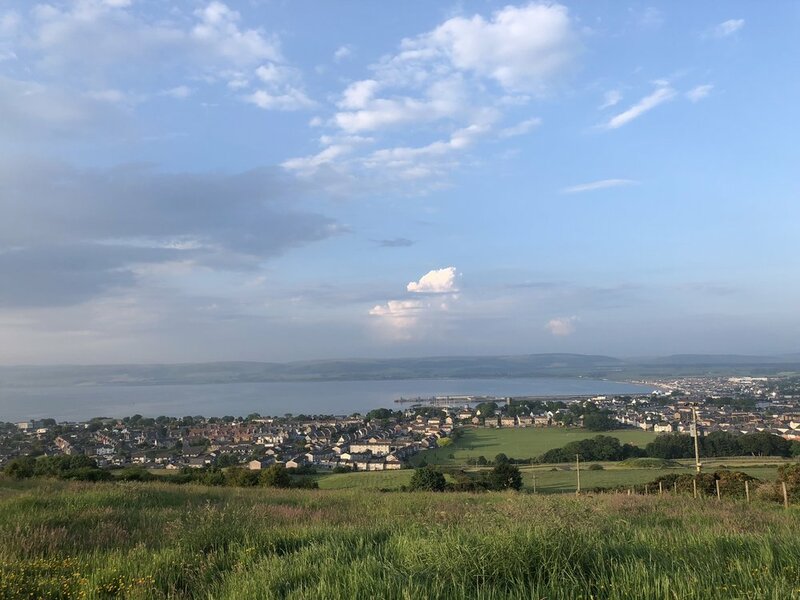 On the Thursday, the team visited some local Covenanter sites at Anwoth (where Samuel Rutherford ministered) and Wigtown (where the Two Margarets were martyred). Following the final Mission service the team departed to spend the weekend in Glasgow before heading up to Stornoway. We are thankful for their work and pray that their time in Scotland will be a blessing to them, just as they have been a blessing to us. To read an article Stephen wrote for the local paper introducing the Mission Team, click here.